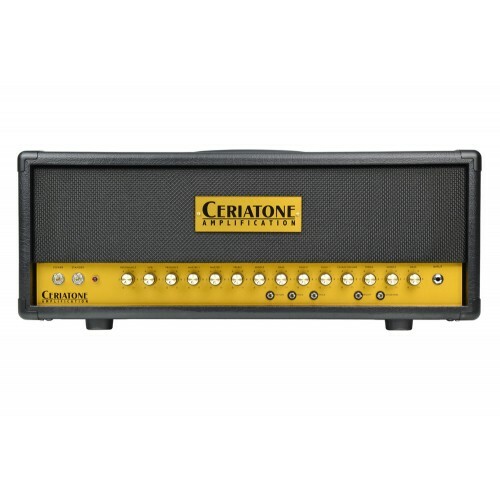 The Ceriatone AH 50 Deluxe is a continuation of our effort in providing guitar players with an affordable, yet versatile, and feature-laden tube amplifier. 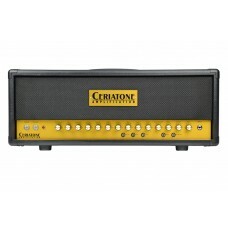 The Ceriatone AH 50 Deluxe is a 3 channel switching amp, with Clean and 2 gain channels (OD, and HOD). The Clean channel can be pristine, rich and lush, or even do blues breakups, while the gain channels can go from a light crunch, to rock, and even the heaviest of metals, and anything in between. The OD and HOD gain channels each has its own Gain and Master controls, allowing a smooth transition between channels, without volume jumps. Go Clean, Dirty, and then Solo easily! Furthermore, there are various tonal switch options provided, allowing you to fine-tune your sounds, and discover new territories! The Ceriatone AH 50 Deluxe is equipped with a series solid state buffered loop that is transparent and will do well with your effects pedals. A Line Out with a level control makes it convenient for you to plug into power amps, certain effects, or recording consoles. The AH 50 is hand-wired on turret board (not PCB), using the best components, and craftsmanship that can only result from the labor of love! Clean Channel EQ: Volume / Treble / Middle / Bass / Bright Sw. Multiple tone shaping controls: "Voice", "Structure", "Thick", "S", "Era"
Ceriatone amps are Custom-built, hand made, hand-wired amps, built to order. There is meticulous attention to detail that is second to none, and no shortcuts are taken. Each amp is 100% hand built, hand wired point to point, and then is thoroughly tested and burned in before it is shipped to you. For this reason, it takes approx. 6-8 weeks for your amp to be built and shipped. Options can add 1-2 weeks to the "standard" build time. 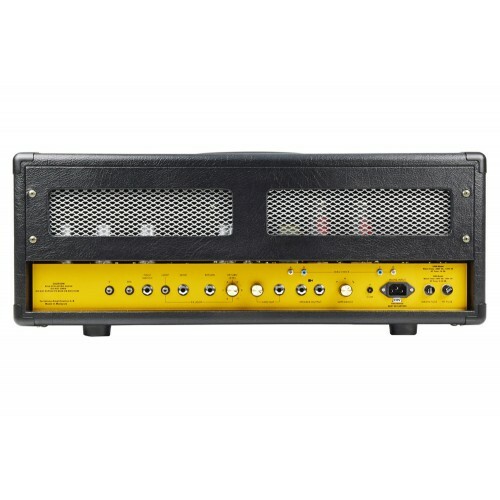 Prices shown on www.guitarampsusa.com includes the shipping cost to the USA only. We only ship to the USA, Canada, and Mexico. Shipping to Canada and Mexico will have additional shipping. We'll invoice the difference in shipping and it is due at time the order is placed.